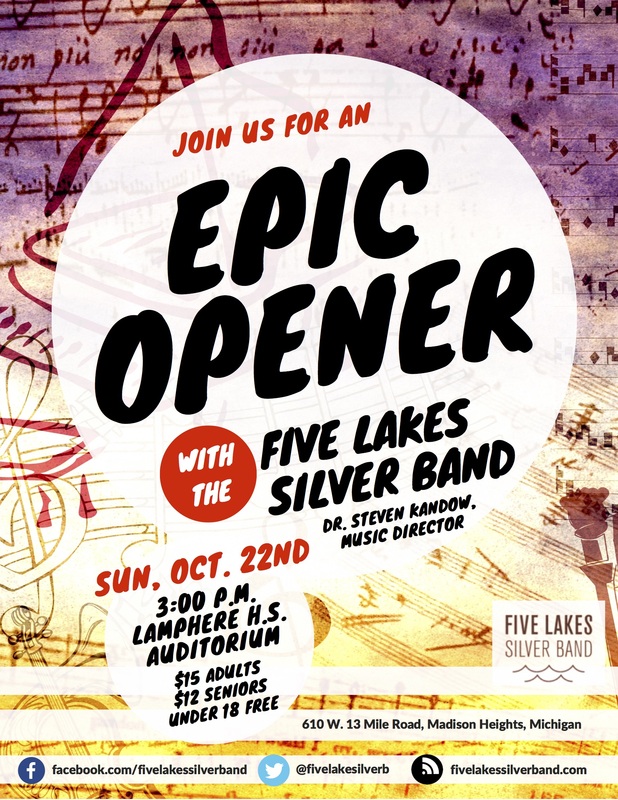 Join the award-winning Five Lakes Silver Band in an EPIC opening to what is going to be an EPIC tenth season! In keeping with the theme, the program features classic openers from composers including Gustav Holst and Richard Wagner, along with many other favorites you're sure to enjoy! Auditorium entrance is on the north side of the building, near Civic Center Park.